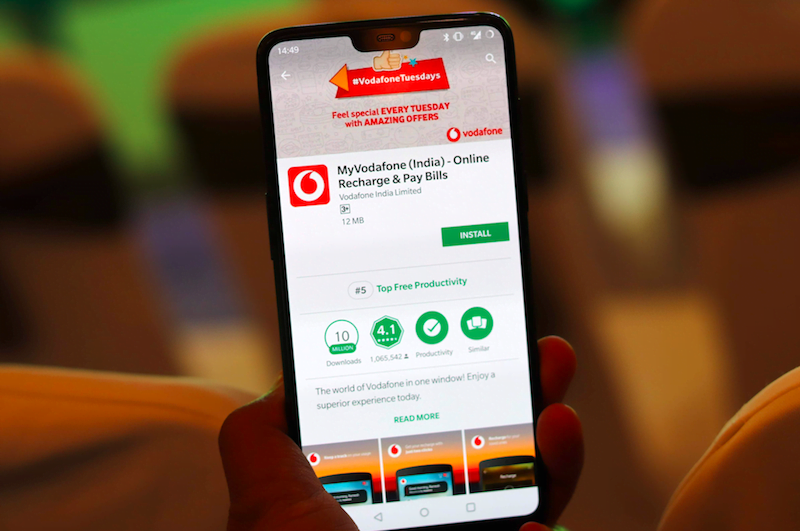 Vodafone India has rolled out a new entry-level prepaid plan of Rs 47 with sub-par benefits. The all-new open market Rs 47 prepaid plan offers voice calling, SMS and data benefits for 28 days from the date of recharge. The voice calling is limited to 7500 seconds during the validity period, while the data and SMS benefits are 500MB and 50 SMS for the entire duration of the plan. Having said that, the validity of this plan is not a week or 10 days, instead, Vodafone has launched this tariff plan as a monthly prepaid plan. Until now, we have seen only a few monthly plans under Rs 50 and the best one so far has been the Rs 49 plan from Reliance Jio for the JioPhone users. Diving deep into the plan details, Vodafone is offering just 7500 seconds of voice calling with its new Rs 47 plan, which means that customers will be able to make voice calls for 125 minutes. That’s underwhelming by a huge margin. On the brighter side, Vodafone is offering local/STD/national roaming seconds. Other benefits of the plan are 500MB 2G/3G/4G data and 50 SMS for 28 days. Also, this plan can be activated only via the balance deduction mode. The benefits of the plan are underwhelming, but Vodafone must have launched this plan keeping basic users in mind. The Rs 49 JioPhone plan offers way better benefits than this plan from Vodafone. Jio is providing 1GB of 4G data, unlimited voice calling without any FUP limit and 50 SMS for a period of 28 days. Nevertheless, this plan is limited to over 25 million JioPhone users only, but Vodafone’s plan is open to its entire prepaid subscriber base, which could be the reason behind the voice-calling limitation from the country’s second largest telecom operator. In recent times, has Vodafone been super aggressive when it comes to prepaid and postpaid tariff revision. After making the Vodafone RED postpaid plans more aggressive, Vodafone’s focus has been shifted to prepaid segment, yet again. The telco has recently started offering double data with its Rs 199, Rs 399, Rs 458 and Rs 509 prepaid plans to its subscribers and now, it has introduced this sub-par tariff plan. It’s interesting to see what Vodafone comes up with next. To keep telecom industry healthy indian consumer shouldn’t mind to pay at least Rs 149 pm to avail decent benefits offered by telcos..